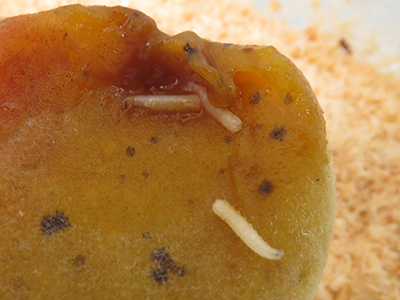 Male fruit flies were found in surveillance traps in 2 suburbs on Auckland's North Shore between 14 February and 14 March 2019. Find out more about these types of flies and what we've done. Biosecurity New Zealand has been investigating finds of single male Queensland fruit flies in surveillance traps in the Auckland suburbs of Northcote and Devonport. Legal controls on the movement of fruit and vegetables in both suburbs have been lifted. 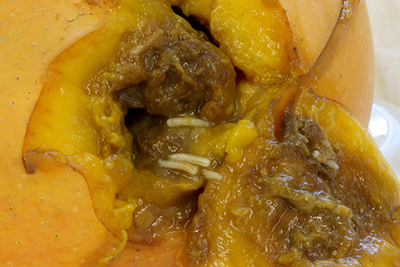 In Devonport, legal controls were put in place on 14 February 2019, after a single male Queensland fruit fly was collected from a national surveillance trap. No further flies were detected in the suburb and those legal controls were lifted on 22 March. In Northcote, legal controls were put in place on 20 February 2019. Between 20 February and 14 March, 6 single male flies were found in separate traps. We carried out a baiting operation to see if there were more Queensland fruit flies in the suburb. No further flies were found. Legal controls were lifted on 12 April. An enhanced trapping network will continue in Northcote and Devonport for an extended period as a precautionary measure. Note, we also investigated the discovery of another type of fruit fly in a different Auckland suburb – Ōtara. To manage the fruit flies that were found, Northcote and Devonport were put under Controlled Area Notices (CANs). These notices restricted the movement of certain fruits and vegetables out of the controlled areas to help prevent the spread of any fruit flies if there were more out there. The restrictions have been lifted for both suburbs. The Export Restriction Zone (ERZ) of 3.2km around the area where Queensland fruit flies were first detected remains in place. This means export consignments of Queensland fruit fly host material must meet additional requirements to move through the ERZ and be eligible for export. All Queensland fruit fly host material destined for export and travelling through an Export Restriction Zone must be contained in an insect-proofed environment and some additional documentation provided. If you are a grower or operate a packhouse, you can check if you are in the ERZ with our interactive map. The Queensland fruit fly is a major threat to New Zealand horticulture, our economy and many of the fruit and vegetables people grow at home. We don’t want it to establish here. They have been detected in New Zealand several times previously. A population was eradicated from Auckland in December 2015. Any fruit and vegetables would be subject to trade restrictions. Prior to the 2019 fruit fly finds, surveillance traps had detected Queensland fruit fly on 4 occasions since 2012. One detection in February 2015, in the Auckland suburb of Grey Lynn, was linked to a fruit fly population. That small population was declared eradicated on 4 December 2015. More than 7,600 traps are set around the country. Trapping runs from September till 1 July, when fruit flies are active. Any catches trigger a response similar to the recent ones in Devonport and Northshore and in Grey Lynn in 2015. If a breeding population is found, insecticide treatments are used to get rid of it. If you have any enquiries, call 0800 80 99 66.